Nolan Arenado and Ronald Acuña are two of the brightest young stars Major League Baseball has to offer and are both projected to be fantasy standouts in 2019. Acuña plays left field for the Atlanta Braves and is fresh off of an excellent first season that saw him win Rookie-of-the-Year honors. Acuña is projected to be a late second-round fantasy draft pick. Arenado, the Colorado Rockies third baseman, has been an All-Star selection each of the last four seasons and should be a first-round pick in most fantasy drafts. Despite questions over which player is more valuable to their actual franchise, there is little doubt that Arenado should be chosen before Acuña in your fantasy draft. In 2018, Arenado batted .295 and slugged 38 home runs, while also netting 110 RBI and scoring 104 runs. Acuña had a great season in his own right, but paled in comparison to Arenado. 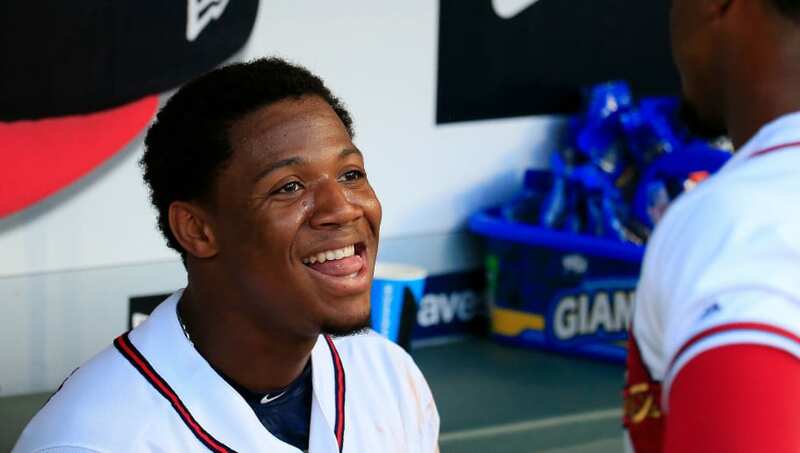 Acuña had a .293 average, while hitting 26 homers, plating 64 RBI and scoring 78 runs, which trailed Arenado in nearly every counting number. The only two categories Acuña had the edge in were stolen bases and triples with 15 and four respectively. Arenado, who is not known for his speed, only stole two bases and hit two triples. Fantasy owners should also consider that Arenado plays half of his games at Coors Field, in Colorado, which is widely recognized as the best "hitter's park" across baseball. Acuña also strikes out slightly more than Arenado, despite trailing in power numbers across the board. There is a lot of hype surrounding Acuña because of how successful he was at only 21 years old, but Arenado has already cemented himself as a premier player in the league. It is also possible Acuña's production takes a hit in 2019 because pitchers will have a full season of tape on Acuña and should have a better idea of how to target his weaknesses. Arenado's ability to stay on the field should entice fantasy owners. Over the past four seasons, Arenado hasn't missed more than 10 games. Considering Arenado's consistency in both participation and production, it is easy to understand why Arenado has a lower ADP than Acuña and should ultimately be picked ahead of Acuña in all fantasy drafts. Get 5 with your first deposit on FanDuel. Join Now.